The average cost to install cedar clapboard siding ranges from $5 to $10 per square foot. You can expect to pay between $8,000 and $15,000 for a licensed contractor to install new cedar shingle siding on a typical house. The cost of removing and disposing of the old siding is not included in this estimate. Planks are lower priced and cheaper to install than shingles or cedar shakes. Bear in mind that part of the expense of any siding lies in the cost of maintenance. Cedar requires regular inspection and upkeep of caulked joints. It also needs refinishing on a regular basis – at least every 3 years in some climates. If a shingle or shake is damaged, it must be replaced immediately so that water is not allowed to compromise the structure. To have cedar siding refinished costs cost between $3 and $15 per sq. ft. This can add thousands of dollars over time to the original price of cedar clapboard siding. The cost of having the old siding removed is between 50 cents and $1 per sq. ft. If your home has a complex structure or is multi-story, you’ll pay closer to $1 psf to have the siding removed. The U.S. Census keeps records on the sizes of new homes built. According to their figures, the average house in the U.S. is a 2-story with 2,250 sq. ft. interior space. The outside of this home will have about 1500 sq. ft. of exterior square footage. This is determined using 9’ for each story, the length and width of the house (25’ by 45’) and calculating the area of each triangular and rectangular section. To get a detailed calculation of your home’s exterior square footage, check out our estimation method. Using the average house size above, we can get a general idea of the cost to install 1500 sq. ft. of siding. If you hire a certified, bonded, and insured siding contractor, they will spend between 45 and 50 hours per 1000 sq. ft. of siding. That comes to about 2 weeks for the average house. Keep in mind that this is not a real estimate and should not be used in place of an actual bid. The siding itself will be one expense, while installation is a separate expense. Then, you will need to calculate in the cost of removal and disposal of the old siding. Cedar siding installation is between $6 and $7 per sq. ft., while redwood may be as much as $9 per sq. ft. Pine, spruce, and fir, all of which will have to be kept sealed and painted, will be $5 to $6 per sq. ft. Homeowners choose cedar siding because it is beautiful. Other types of siding, such as vinyl and aluminum, are even judged on their appearance by how much like “real wood” they look. Cedar also has a wonderful aroma, making any home feel cozy and welcoming. The heavy wood grain in cedar is unique to that species. The straight grain and smooth texture of cedar makes it a pleasure to work with. Cedar clapboards are very durable, capable of lasting for decades when well-maintained. It has good insulation qualities, keeping your home’s climate control inside and the outside temperatures at bay. It also absorbs sound, making your house quieter. You do not have to worry about cedar cluttering a landfill. First of all, many people recycle cedar because it is so beautiful. If it does go to the landfill, it is biodegradable. Cedar is a renewable resource, usually harvested from cedar farms in the U.S. It requires little energy to process cedar, unlike the manufacturing process required for other forms of siding. Any clapboard siding is susceptible to insects, animals and rot. Cedar is resistant to all kinds of insects, and not prone to rot, but if it is neglected, not so much. It needs to be maintained with a sealant. Otherwise, it will eventually absorb moisture anywhere it comes in contact with the ground, and insects will eventually take an interest in it, once the natural tannins have leached out. Cedar siding also requires regular maintenance. The wood must be treated or painted to preserve it. Also, it cannot be installed over your existing siding. This maintenance will have to be repeated as often as every 2 years, depending on your climate. It is also flammable. Even when treated with fire-resistant chemicals, it can advance flames. In contrast, vinyl siding will melt but not burn, and metal siding, fiber cement planks, and masonry do not burn or melt. You may pay more for your choice of cedar species based on where you live. This is because it may have to have it shipped long distances. 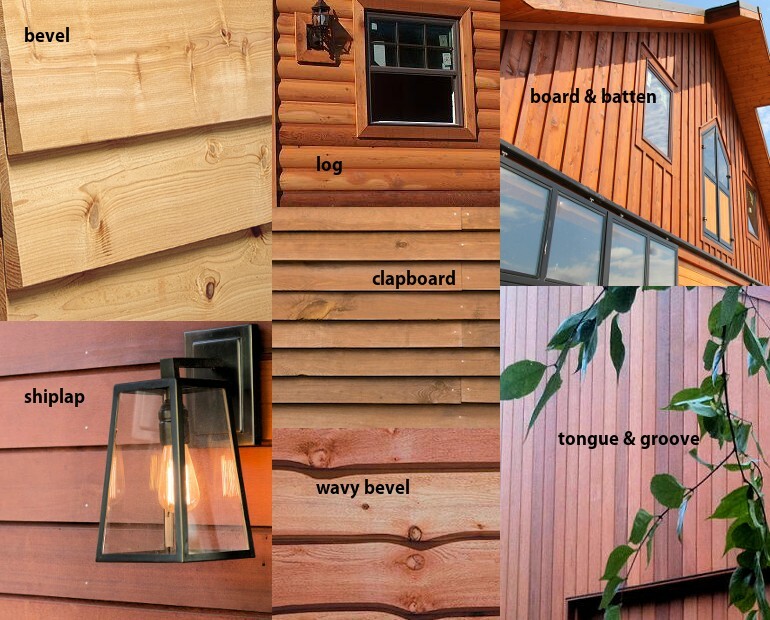 Western redwood is grown in the western U.S., while fir is harvested in the eastern U.S.
“Clapboard” is the term used to describe the profile of the siding being installed. It is beveled along one edge creating a wedge, and the planks are overlapped at this bevel. The overlapping design is distinctive, with the thick part of the wedge placed over the thin part of the board below it. Installation is done starting at the bottom of the wall, with each successive row overlapping the one below it. There are many styles of clapboards, as well as different textures and finishes. The “reveal” of the clapboard pattern varies, too. Every type of siding is available in clapboard styling. The durability of this style of siding makes it popular. Wood “breathes”, making it valued for its insulation benefits. Clapboard styling has been around for centuries. In fact, Colonial style homes were covered in clapboard siding. This style is now found in aluminum, vinyl, and fiber cement planks. The most popular form, however, remains to be cedar and redwood. The traditional treatment for clapboard siding is to be left untreated. However, to increase durability, it is recommended to keep a coat of paint, stain, or sealant on the siding. When left unfinished, cedar and redwood turn a beautiful silver-gray color. Since the natural wood breathes, it allows for enough air circulation to keep the wood from getting musty and moldy. You can order just about any style in cedar. Lap-boards, shakes and shingles, and vertical board-and-batten are common, as are tongue and groove. You can also find Dutch lap, shiplap, channel rustic, and cove siding. Most planks are 1” thick, and can be ordered in widths of 6”, 8”, 10”, and 12”. 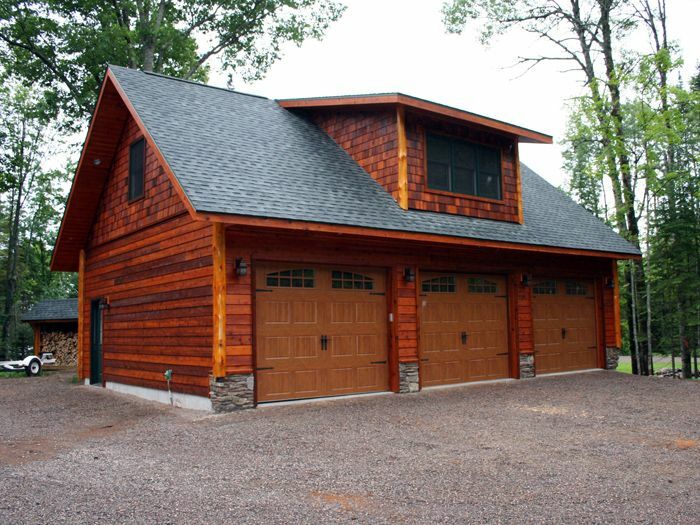 Cedar siding is so durable that it can last over a hundred years in the right conditions. You can achieve this kind of longevity regardless of your climate with proper maintenance. It should be power washed regularly (about once a year) and the caulk checked and repaired. Any areas that have flaked stain or peeling paint should be touched up. Any rot or damage should be either repaired or replaced to keep the problem from multiplying. You should also have fungicide applied, and mildew retardants used if you live in a humid climate. This should be done every 3 or 4 years. If you live in a dry climate, you should apply an oil or sealant every 5 years. 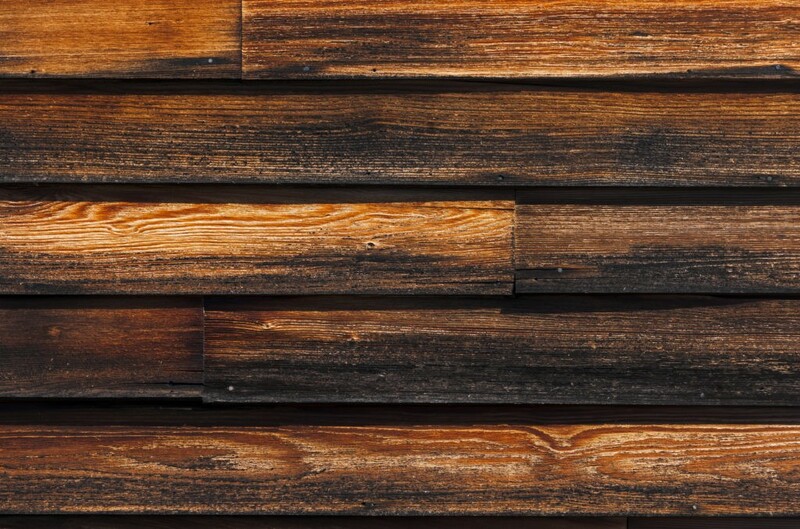 The long-term expense of maintenance will be higher if you have a rough-textured wood. That is because the texture creates more surface space and takes more paint and stain. You will also pay different prices based on who actually does the cleaning. If you do it yourself, of course, you save a lot of money. An uninsured jack-of-all-trades, also, will not cost as much. A licensed, bonded, and insured contractor will cost 10% to 20% more, while a franchise service will be 20% more. If you leave it up to a property management company, you can expect to pay 35% more for cleaning. Cost depends on home size, area, type of wood and thickness of the board. Some homeowners purchase extra siding for future use in case the clapboard is damaged and boards need replacing. 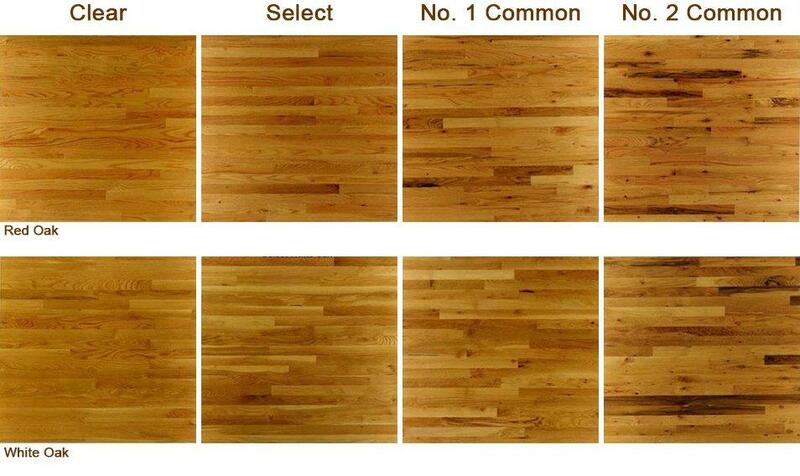 Cedar, redwood, and other woods are graded on whether or not knots and blemishes are present in the wood grain. Clear wood does not have any knots in it at all. STK is select tight knot, is wood that has “character marks” of small knots scattered throughout. Grade B has a few large knots. Knots affect the way the wood takes stains. They may also stain through paint, creating a less-than-desirable finish. Knotty pine, though, is densely knotted, which is part of the appeal. The premium grade is clear wood. It is milled from the center of the tree, so there is not as much of it as there are other grades of wood. This wood will receive stain and paint better, and age with more consistent coloring if left with a natural finish. You will need a larger budget to side your house in clear grade cedar. B-grade cedar and the pines usually cost between $275 and $350 per 100 sq ft. This bundle is called a “square.” It will cost between $8,000 and $15,000 to have a professional siding contractor to install cedar siding on your house. You will pay extra to have the old siding removed. You can save money by choosing planks rather than shingles or shakes. In contrast, aluminum siding is around $220 per square. This is quite a bit cheaper than cedar, but keep in mind that the best aluminum siding goes for $500 per square. Installation will be added to that price. Vinyl is the least expensive option, followed by aluminum. Cedar is more expensive than either of the others. Distributors will pre-finish wood before shipping it out. They may simply prime it, or it may be sealed or painted. You will pay an additional 50 cents to $1 per square foot for this. The more opaque the finish, the longer it will last. If you elect to have water-based stain put on your wood, it will cost more to refinish. This is because special strippers must be used to remove the film left behind. Oil-based stains will penetrate deeply into the wood. For maintenance, you’ll just wash them off with oxygen bleach, then re-stain them. Be careful when having cedar siding installed. It must be done correctly to keep moisture from getting behind the wood and causing mold and rot. It can cost you thousands of dollars to repair such damage. To install this type of siding yourself, you will need to rent or buy the proper tools and take time off from your regular job. The next step up is to hire a handyman who may not have any experience with cedar siding. Either of these options can ultimately be very expensive because if the job is done incorrectly, the siding or your house may be damaged. Probably the most expensive installation will be the one that comes in a package deal with any architect or designer. It is best to get 3 or 4 estimates on the job, and compare the prices and services before making your decision. The complexity of your home’s architecture alone is enough to make your siding installation bill skyrocket. If you have a multi-story house, it will cost more to side. More than 8 corners will also increase the cost, and difficult angles take more time to measure and cut-to-fit. Ladders will certainly be needed, but for bigger houses, scaffolding may be necessary. This slows down progress and costs more. Building codes usually set a minimum requirement of the pitch of a roof at 3/12 or 4/12. That is not very steep, and that is the pitch most commonly used in the formulas here. But greater-pitch roofs and gables will be harder to install siding on. 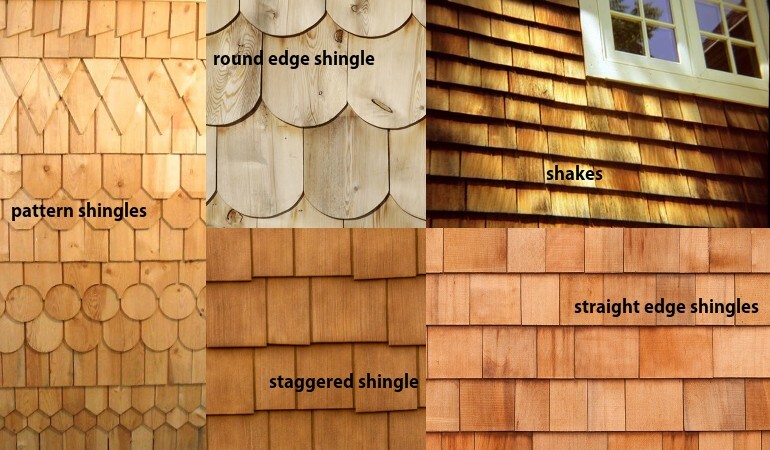 There is also a difference in the amount of time needed to install planks vs. shingles or shakes. The previous estimate of 45 to 50 hours per square is for plank siding. Shingles or shakes will require 60 to 70 hours per square. Redwood grows in the Western U.S., while cedar grows in the Eastern U.S. If you do not live in those areas, and want to have the wood shipped in cross country, you will have to pay more. In general, cedar will cost 25% more than vinyl. Your location will also affect the cost of installation simply because of the “going rate” of the area. The top manufacturers and distributors of wood siding are Lumber Liquidators, TruWood, Buffalo Lumber, and Build Direct. If you have lumber industry in your area, your contractor may be able to recommend local mills that can produce siding to order for less money. Be sure to get 3 to 4 estimates, and they should be after an on-site inspection by the contractor. Most contractors offer free estimates, but you can expect a sales pitch along with the estimate. Find out if the installer is local and if they are bonded, insured, and certified. Otherwise, the warranties on your siding may be voided. Get references, and follow up with them. Most people do not ever call references, and the contractors know it, so they will give names just to bulk up their references. Get your estimates in the fall and early winter. This is the contractor’s’ slow season and they may be eager to keep their crews busy. Each contractor has different overhead expenses, so estimates may vary accordingly. Add between 7 and 15% to your estimate. This will allow for unwelcomed surprises once the contractor removes the old siding. Comparison shop at all of the home improvement stores. Know what you are looking for and tell them you are looking for the best deal. You can save as much as 20% by doing this. There are many different architectural styles of homes in the U.S., including ranch, Victorian, Cape Cod, and more. So be aware that the style of your house may affect the estimate. Over to You: How Much Did You Pay or Get Quoted? What do you think of cedar siding? Have you received a quote? Tell us about your experiences in the comment section.